Anzeige/ Ad: Platform Fashion has established itself as a successful fashion show concept in Düsseldorf. A couple of weeks ago it celebrated its tenth season at Areal Böhler. The fashion shows have attracted thousands of guests. Well-known fashion brands as well as upcoming new designers used the stage to present their new collections and designs. 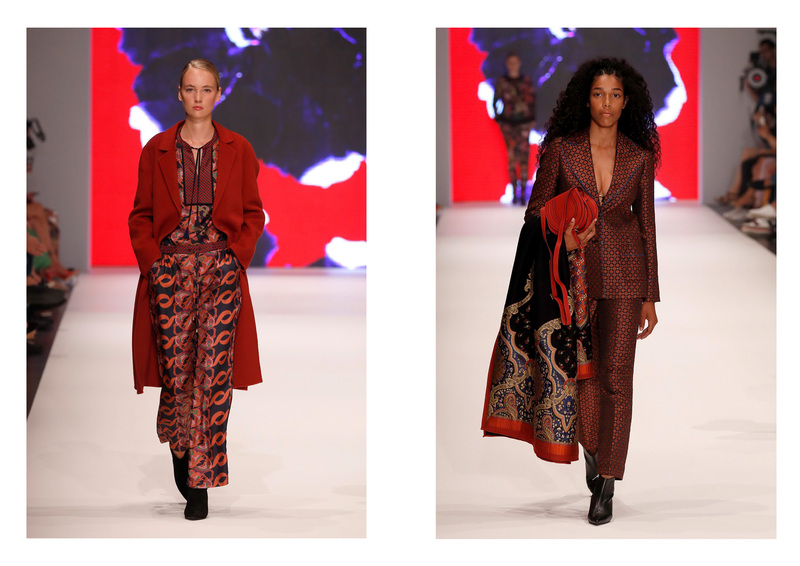 Fashion and lifestyle company Breuninger also celebrated the importance of Düsseldorf as a fashion location with an exclusive fashion show and presented highlights from the current collections to VIP customers and celebrity guests. In today’s blogpost I’m going to show you my look for the show and point out highlights of the current collection. Breuninger wants to offer its customers a unique live experience of its wide range of products for men and women and point out new and innovative styling possibilities through the fashion show. I have attended its fashion shows several times now and I’m positively surprised again and again. Breuninger is the only retailer to present its collection at Platform Fashion. All pieces are already available in store. I really enjoyed watching the fashion show. It was conceptually divided into different color worlds and styles. 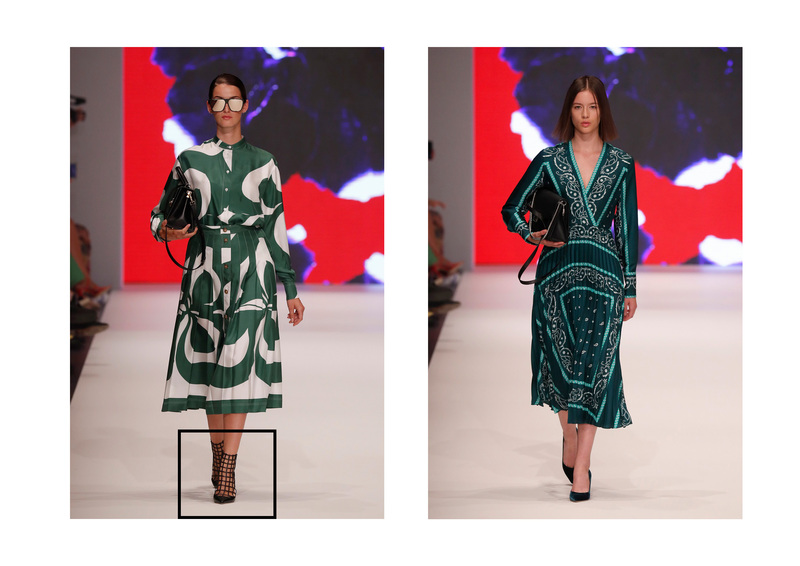 Shades of green and red, eye-catching animal prints and check pattern dominated the catwalk. Power suits and cool business looks are only a few highlights to mention. The show picked up current season trends and pointed out new must-haves. Furthermore Breuninger presented new ways of wearing accessories for fall and winter. 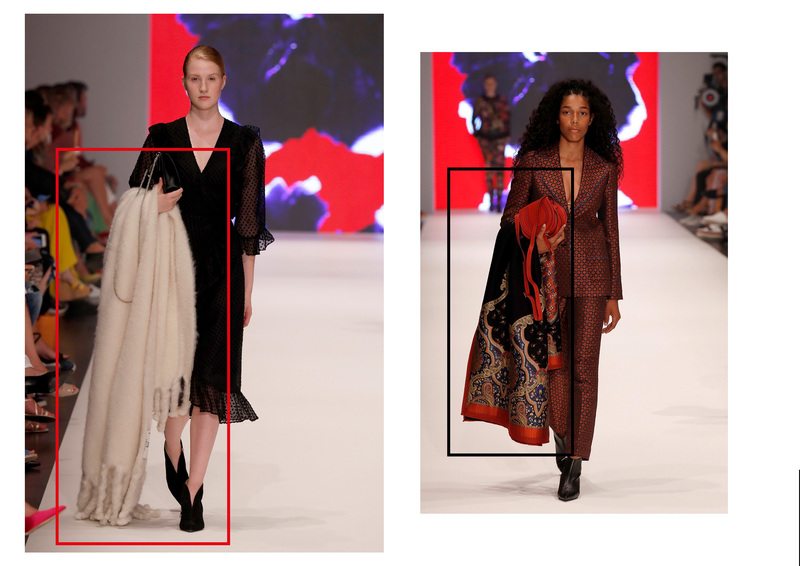 Big statement scarfs and blankets were laid casually over the arm, bags were carried in the hand. Breuninger is constantly expanding its collection and is proud to include luxury brands such as Balenciaga, Off-White and Heron Preston among its range. I decided to go for a head to toe Breuninger look for the Plattform Fashion show. It was love at first sight when I saw this beautiful Self-Portrait top at the Breuninger store in Düsseldorf. It’s truly all about the details. The cute broderie anglaise and the ruffles along the sleeves and the yoke create a feminine and romantic aesthetic. I really like the slightly cropped fit and the full length button placket. The top is something between a blouse and a super thin summer jacket. I’m really into the label’s signature lace-details and high quality material. It is such a unique piece with a fashionable edge. I decided to pair the Self-Portrait top with some tailored high-waisted Dorothee Schumacher pants. The flared leg conjures a beautiful silhouette and the pinstripes create a great contrast to the romantic lace. I love the strong and elegant Dorothee Schumacher designs. White pointy heels and a classic Chanel bag are the only accessories I need to complete my outfit. You can watch the whole show HERE! Die Bluse ist unglaublich schön! !